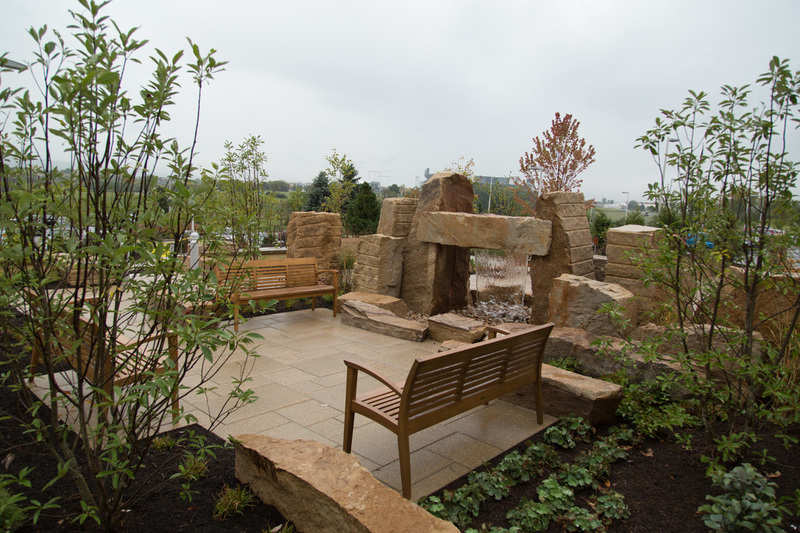 This therapeutic garden is about providing a place of refuge and respite for patients, visitors, and staff that’s accessible to everyone. 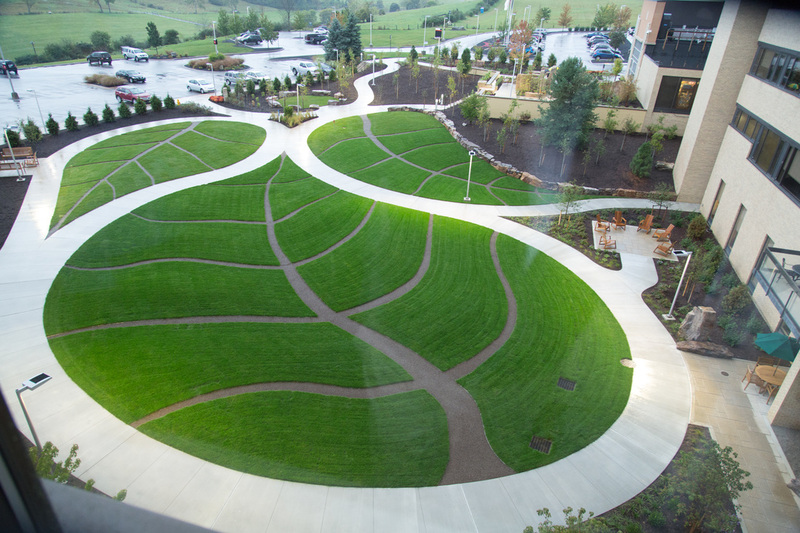 The strolling garden paths create large leaf shapes that can also be viewed from patient rooms above for those who can’t make it out into the garden. The main garden space is a terrace with a large boulder feature and waterfall. The idea was to use the boulders to partition the plaza into two garden rooms with a connecting window and a sheet of cascading water that replaces the glass. The feature is oriented on the north/south axis so that low angled sunlight in the mornings and evenings can shine through the water. 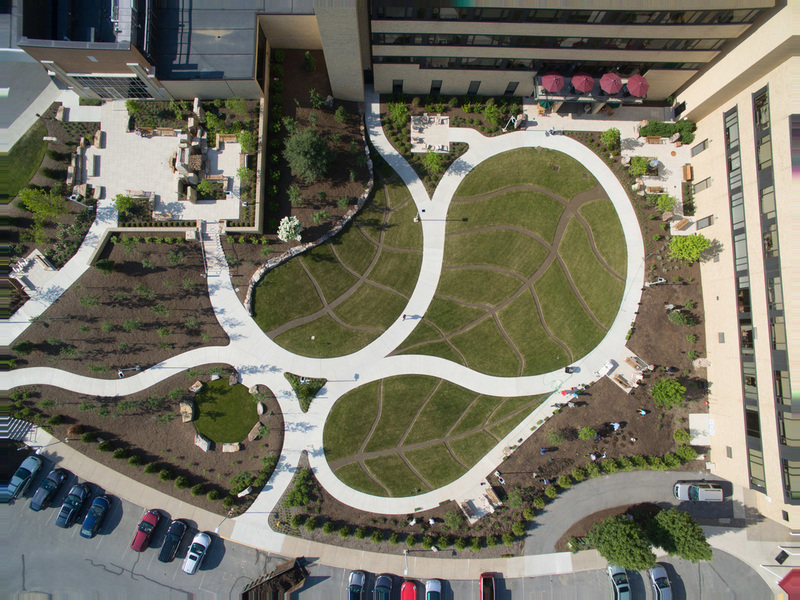 The garden was officially opened last fall but this recent aerial was taken while Penn State Master Gardeners and other volunteers were busy planting the pollinator garden in the lower right corner of the photo. 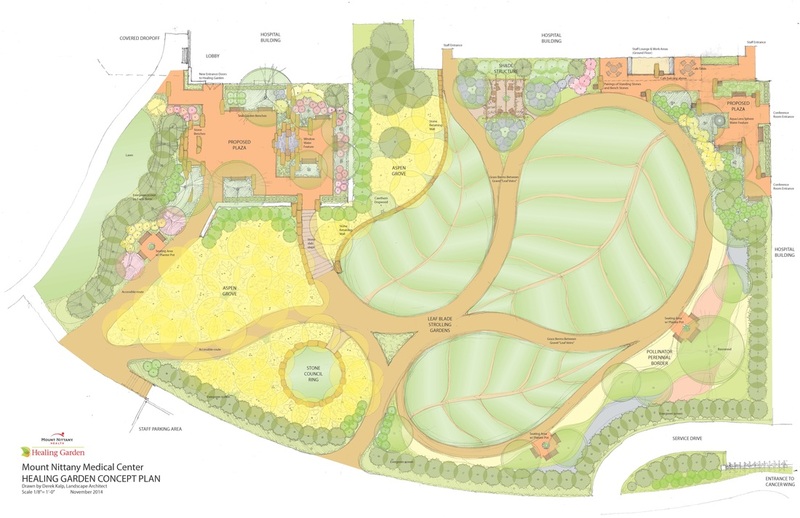 The aerial photo and the color rendered schematic design ended up being a close match. 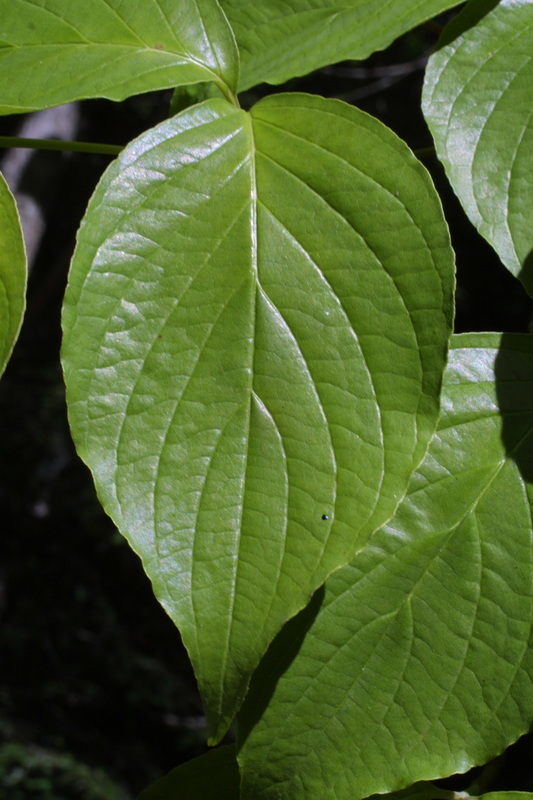 This plan has been used for ongoing fund-raising both for completing the garden as well as a critical maintenance endowment to help ensure its longevity. 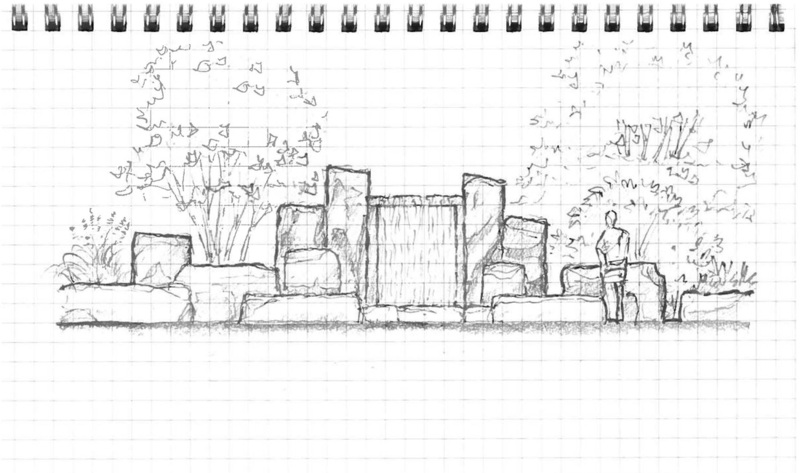 The water feature on the main plaza also turned out true to the original 3D rendering and sketchbook doodle below. The idea was to use the boulders to partition the plaza into two garden rooms with a connecting window with a sheet of cascading water as the glass. The feature is oriented on the north/south axis so that low angled sunlight in the mornings and evenings can shine through the water. 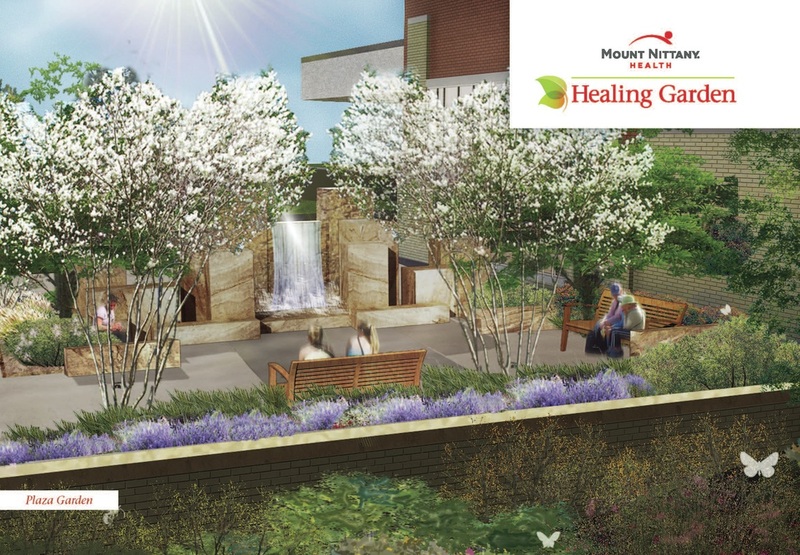 This perspective rendering was done by Steve Hackett, landscape designer. And here is my original sketch. 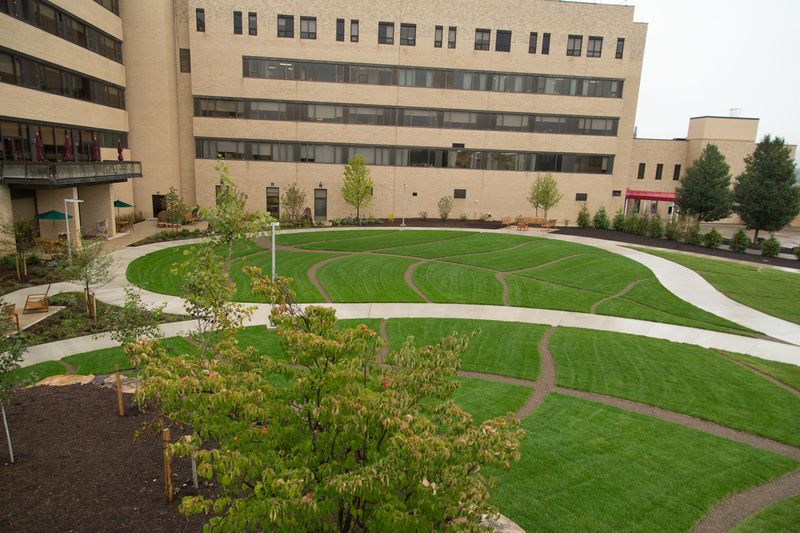 The grassy leaf patterns of the strolling garden were primarily meant to be viewed above from patient rooms, especially for folks who aren't able to make it down to the garden. 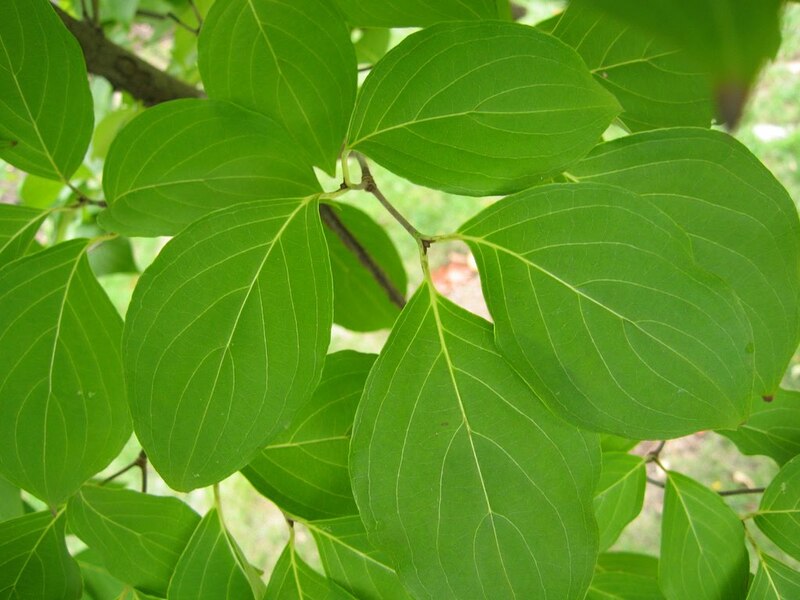 The lawn panels between the symmetrically arranged leaf veins are slightly raised or bermed to create a quilted effect which was inspired by our native flowering dogwood leaves seen below. This lower plaza is at the ground floor level of the building and is just outside of staff lounges and conference rooms. 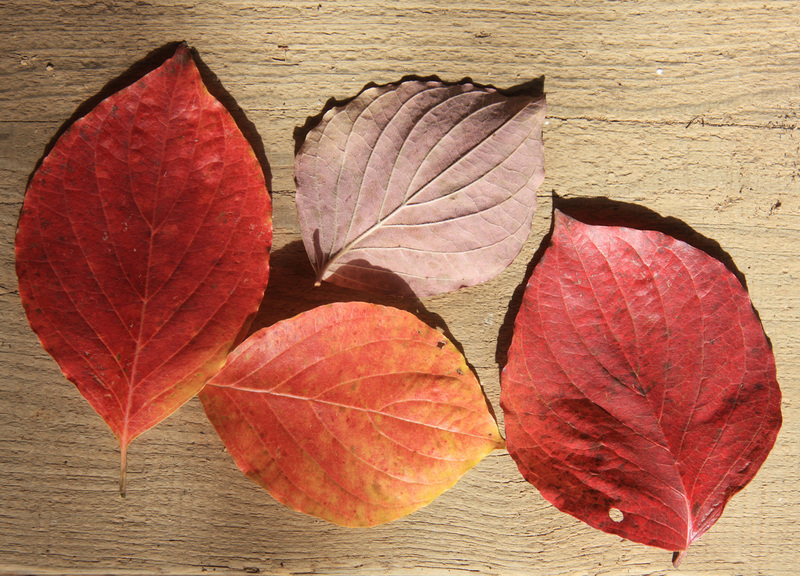 Providing areas that are convenient for staff are just as important as patients because staff deal with tremendous stress on a daily basis. 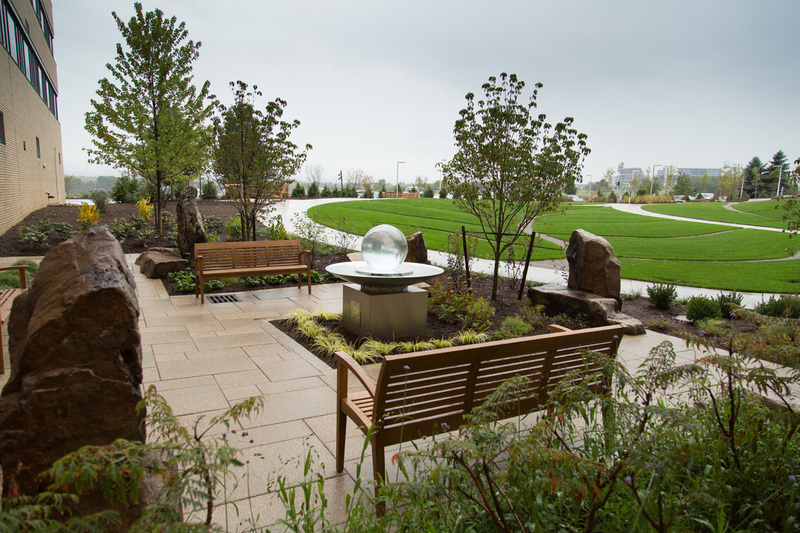 The water feature is a beautiful piece called an Aqua Lens and a generous gift from a donor. This view of the strolling garden is from the main plaza. You can also see the balcony of the hospital cafe which overlooks the garden.